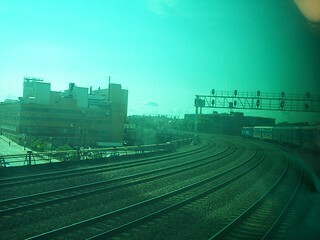 After departing Union Station we cross some city streets and see the tracks that come from the Ogilvie Transportation Center. 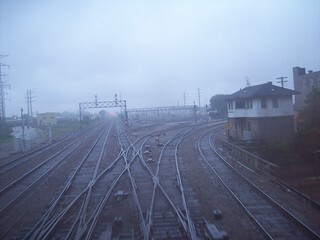 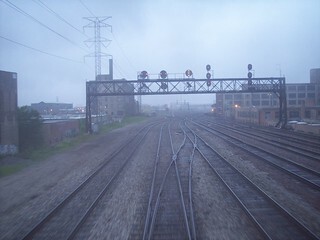 The Metra Union Pacific West Line continues straight ahead while we turn to the north. 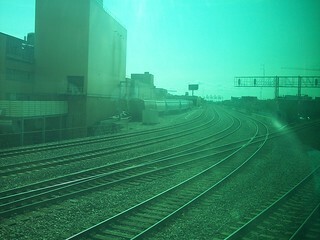 The view from our Metra Union Pacific North Line train as we depart the Ogilvie Transportation Center. 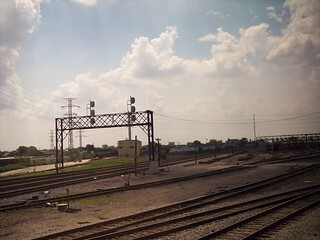 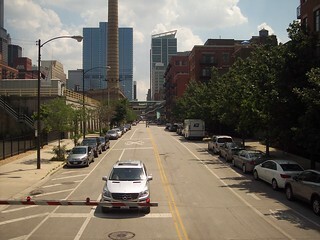 Soon we see the Union Pacific West Line tracks head west while we continue north to Clybourn.